Sweet and enveloping, Ginevra welcomes guests with simplicity. With or without the integrated armrests, the shell of the armchair in organized shape offers comfort excellent. 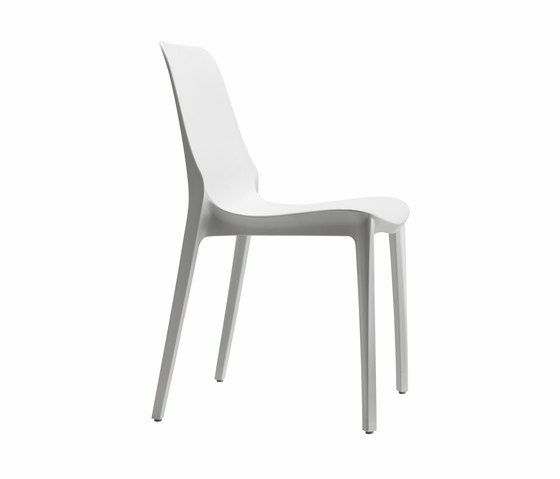 The material used, a technopolymer worked with air moulding technology, allows using the chairs in a variety of locations: in meeting and public spaces, at home or in the garden. The frame is available in a wide range of colours, for a game of combinations that will transform it into the perfect Chair for each application.